"Maccabee has been very successful in keeping the Kemps brand top of mind with local media and consumers. What I value in Maccabee is a fresh approach to public relations work. Creative and innovative, I can count on Maccabee for out-of-the-box - sometimes zany - but always productive publicity ideas." 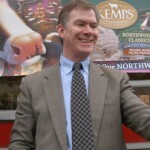 Kemps Ice Cream, the No. 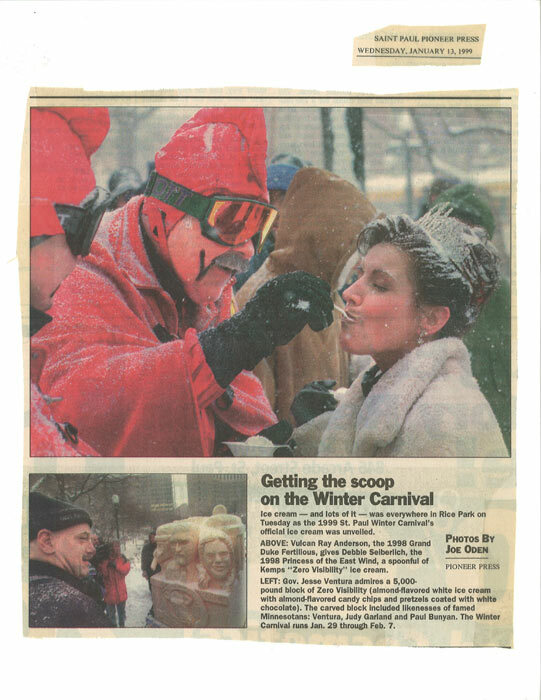 1 selling frozen dessert brand from Minnesota, relied on Maccabee for virtually every new product launch and media relations initiative for 12 years. Consider how Maccabee introduced a new Kemps flavor, “Zero Visibility” ice cream. 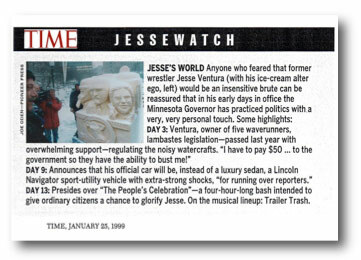 Maccabee carved then Governor Jesse Ventura’s face out of 5,000 pounds of the ice cream. The event generated media coverage on all four local TV stations, in both daily newspapers and in Time magazine and on CNN-TV worldwide. Women in Communications called it the “Best Special Event/Promotion of the Year.” Most importantly, the campaign sold out Kemps’ entire stock of the product. And the regional launch of Kemps’ new “Wind-Chill Factor” flavor? Our campaign generated 3.6 million consumer impressions with coverage on all four Twin Cities TV stations, both daily newspapers, Minnesota News Network and WCCO Radio. Ninety days of product sold out in just three weeks. Created an “Udderly Amazing Cow Sculpture Contest” that attracted 600 drawings of cows inspired by Minnesota legends such as Bob Dylan and baseball player Kirby Puckett. 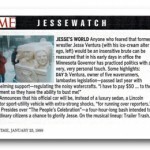 Maccabee then coordinated TV and newspaper publicity when the resulting 140-pound, 8-foot-long cow sculptures were exhibited at the Minnesota State Fair.